In “A social cognitive approach to traditional media content and social media use: Selfie-related behavior as competitive strategy” by Michael A Stefanone, Zhiying Yue and Zena Toh, the authors intend to look into the motivational reasons that lead people to take selfies, taking into account all the features that make a selfie different from a regular picture (celebrity behavior and unique facial cues that indicate some manifestation of narcissism and the need for popularity). I think this selfie related behavior is very detrimental to the users of any social media platform, and this post will go through the unique characteristics of a selfie, and how that promotes unhealthy competition that ends in the involvement and detriment of the user’s self esteem. While I think it is true that a single selfie could be regarded as a generic picture of your face, what makes selfies particularly different from any other type of picture, is how this selfie-taking process takes place. A selfie implies that the subject is aware of how they look on the screen and what angles benefit their overall beauty and aesthetics, in order to make their picture competitive enough for social media standards. The process of selecting and editing a selfie is also unique to it. Usually, the only ones who will edit their own selfies will be the subjects themselves, because they know, after a series of external comments guarantee a step-by-step process to make that single selfie more competitive. People are aware of their physical traits and how to upgrade or enhance them (edit) to meet the expectations of a selfie on different platforms such as Snapchat or Facebook. This reading claims that the decision to share images of one’s self is also likely a function of that individual’s self-worth, and the more likes they get, the more they feel satisfied with themselves and their physical appearance. I think this isn’t the case for self-worth because one selfie is never enough. It’s an eternally vicious cycle that perpetuates beauty standards, but never gives the right amount of satisfaction in the long run. It’s an ephemeral pleasure. If anything, I would argue that it is nothing but competition and a way to seek a feeling of superiority in specific audiences or groups. For me, self-worth is more about the things that only you can do to make yourself feel better and love yourself. It’s not really about physical appearance in relation to celebrities and characters from RTVs. It’s the traits that shape you. In that case, if a selfie comes down to physical appearance and appealing to a certain audience, I don’t think it could make anyone feel better in the long term. It might be a nice feeling to know that your facial features match those of celebrities’, but it will never compensate for a lack of self-esteem, and that’s why I find this explanation to be a bit fallacious. Even if you are presenting yourself and selecting the things you want to project to the outside world, it’s not about idiosyncratic qualities. In Transcendence of Trends Within Competition by bigpandafootball, the author read about the creation of misleading profiles on social media and a study that was conducted to find out why this happens. The argument of this post is that people do it because they want to “compete with other users that they feel jealous of”. To follow up on this as part of my argument and to make a similar rhetorical move to that of Hutcheon’s, I’d like to include the etymological definition of self-esteem. From the Greek “αυτος” which means “by yourself” or “towards yourself”. In addition, esteem, from the Latin word “aestimar” which means “to appreciate or give value to”. What I’m trying to say here, is that selfies and social media have never and will never be used as a means to appreciate yourself and what makes you unique. It all comes down to a competitive game to see who gets more attention and overall popularity. Furthermore, selfies are also seen as a hierarchical on social media. Through likes and followers, they’re used to rank people, and based on numerical data, the more followers and likes they have, the more people will try to replicate and imitate their behavior on social media. In many cases, this ultimately affects the mental health of the users, because it’s seen as a reward system in which you can only win if you meet everyone else’s expectations, and if you don’t, for obvious (genetic) reasons, you’re looked down upon and seen as inferior. Instead of trying to promote a healthy body image and a positive value system which, in turn, helps people at the top of the social media hierarchy, people compete and crush their opponents, which is basically the same exact thing that Hutcheon was attacking throughout her essay when she mentions the culture of demolition. It is for these reasons that a selfie will never compensate for the things you appreciate or value about yourself. Self-esteem can’t be about hierarchy and jealousy because the attention and popularity of others simply can’t influence the way you feel about yourself. In conclusion, my overall impression of this reading is that it highlights the fallacious reasoning of users who ignore the core definition of self-esteem and self-worth. This isn’t really part of the narrative and the overall rhetorical moves of the paper because it’s not the central topic and they barely mention it. Nonetheless, I’d like to think of my reading response as a way of separating and making a distinction between self-esteem and the way selfies improve or damage it. Even if they don’t necessarily have to be mutually exclusive, and we obviously can’t ignore that physical appearance is, indeed, part of ourselves, I think that this reasoning could be misleading. At the end of the day, selfies will always involve one’s feelings towards themselves, but using selfies as the means to improving it is detrimental. Next How the competition influence people to misrepresent or refuse to disclose their information in social media? Firstly, thank you for your analysis on the faults of one’s use of social media as a means of boosting moral. Secondly, in my opinion, your personal argument claiming the detrimental outcome of selfies as self-worth improvers is absolutely valid, since users who post solely for positive attention subjugate their image of their own selves (the selfie) entirely to external, highly subjective judges (other social media users), all of which do not have to live the criticism they have left on the selfie subsequently to posting a comment. However, this logic can only be applied to circumstances in which the selfie actually has been posted on social media for others’ approval. Therefore, based the knowledge you have acquired on the subject (I have not read the text your reading response relates to), what do you think the impact of selfies consists of on the self-appreciation of those who take pictures of themselves without posting them on social media? In other words, how different do you think the impact of selfies is on a person’s self-worth if the selfies are not actually posted on social media? @vlessard2014 Hey there! Thanks for your comment. I think that the sole fact that people take selfies means that the subjects are aware of their appearance and how they compare to that of users on social media and pretty much the rest of the world. 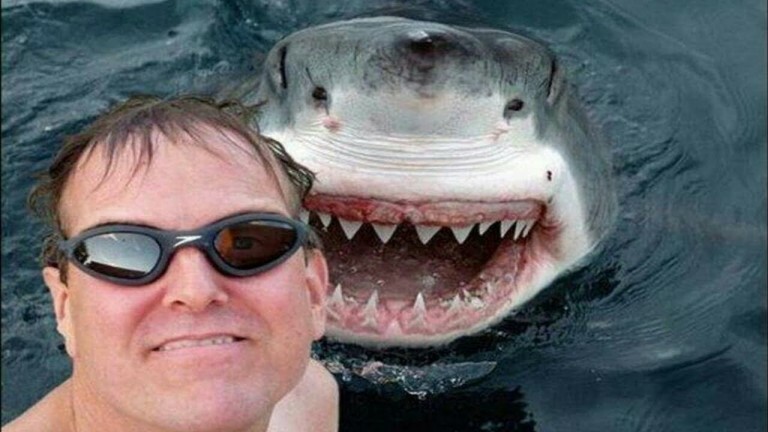 Taking a selfie is a relatively new thing, and it became a thing on social media itself. Based on what I just mentioned, I think that it is not possible to conclude that even if the selfie isn’t uploaded, it will not have any significant effects that clash with the argument presented by the paper that I read.